GARDEN CITY, N.Y. — Former New York Mets and New York Yankees Pitcher, Dwight Gooden, is scheduled to appear on Sunday Jan. 31, 2016 from 12:00 pm to 1:30 pm to meet and greet fans where he will sign autographs and memorabilia at the Steiner Sports Store located in the Roosevelt Field Mall in Garden City, NY. For more information, click here. 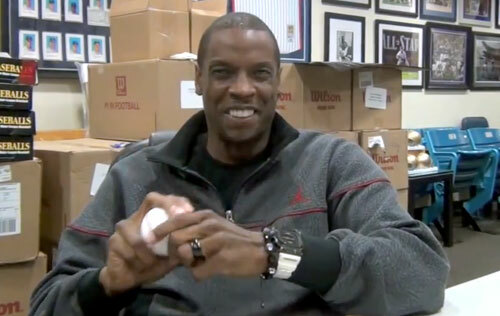 Watch Dwight Gooden talk with Brandon Steiner about his personal life and his career. Dwight Gooden, or “Dr. K”, is a former MLB pitcher and was one of the most dominant and feared pitchers in the 1980s. He ended his career as a mop-up reliever for a championship team. If you would like to book athletes like Dwight Gooden for an appearance, contact Dwight Gooden’s booking agent for fees at Sports Speakers 360 or call at 1.855.303.5450.